THE march of the robots has begun. And the handshakes, high-speed catches and tweezer-flexing. Robotic limb technology is advancing in leaps and strides. But it is mechanical hands that have seen the greatest recent improvement. 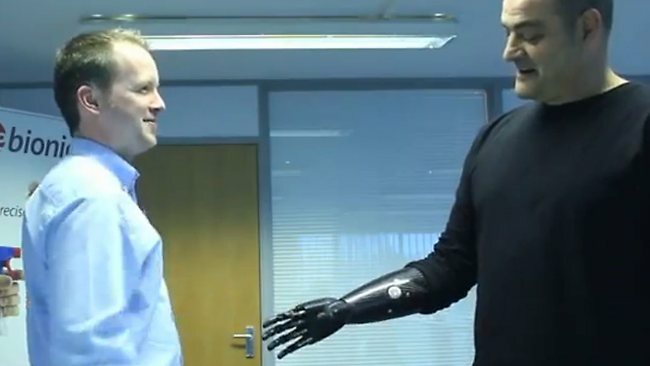 A British man, 53, has recently been fitted with a new carbon fibre mechanical hand by prosthetics company RSLSteeper which he controls by manipulating the remaining muscles in his upper arm. Not only does it look more human than most, it is highly effective. RSLSteeper's prosthetic hand has restored a large degree of "normalcy" to Nigel Ackland's missing right arm. With it, he can grasp an egg, type, pour water - and play building blocks. After more than four years of life without one hand, he now hopes to return to life as though he had two fully functional hands. "You can't understand what it's like to walk around with something like this... It feels right... It does feel human, and you can gesture... and if your not gesturing, it's half your conversation," Nigel Ackland said. "I don't actually tire. I can sit there all night and watch this (his hand's movements) until the battery runs out." And the technology seems destined only to get better. 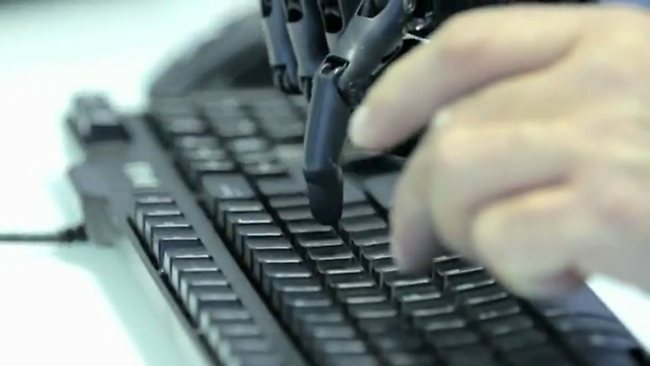 A Japanese robotics research agency has released video of mechanical arms tossing a mobile phone, bouncing balls, flexing and spinning a pen, and using tweezers - all at ultra-high speeds. It is achieved through tactile, force and weight feedback sensors in the dextrous hand combined with an advanced vision computing system. The Ishikawa Komuro Lab's anthropomorphic robots are purely experimental at this stage, but elements of the technology may soon be appearing at a factory near you. 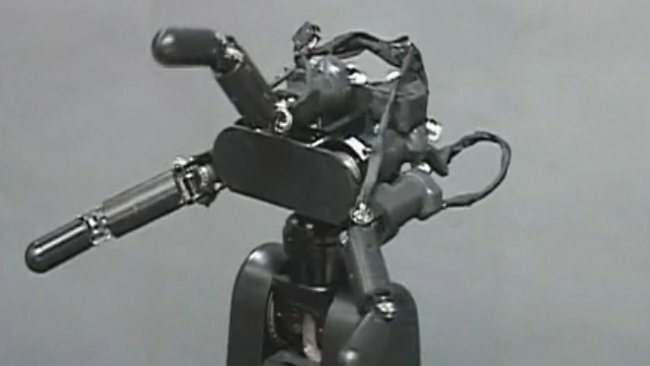 Ishikawa Komuro Lab's anthropomorphic arm: It can bounce, catch, throw and flex at ultra-high speeds.